Monolith Soft's Tetsuya Takahashi has made a new post on the Japanese 'Production Notes' site for Xenoblade Chronicles 2, detailing the main highlights of an upcoming Ver. 1.1.1 patch to the game. This update will be available on December 22. First of all, these are some of the currently known bugs that will be fixed in this patch. In the Event Theater for Chapter 1, after watching the "Rex and Nia" event, returning to the game would cause the camera to shake. If the game were to be saved at this point, the camera would permanently shake. In the Gormott regular quest "One Step Ahead", obtaining the quest item Healing Herb right at 12:00 would not count the item in the quest log. Similarly, in the Gormott regular quest "A Young Man's Prize", obtaining the quest item Pure White Rhino right at 07:00 would not count the item in the quest log. In addition to bug fixes, Ver. 1.1.1 will also have some new features added. Pressing the X button will let the Skip Travel screen transition to the map you're currently located at. With this, it should be easier to check places on the map such as Skip Travel and Salvage Points. Pressing the L stick now shows the zoom ratio of the mini-map. This should improve the visibility of your surroundings and also make checking quest destination points easier. The following items will be given to players who have bought the Expansion Pass when this update patch comes out. Takahashi also teases that future upgrades to the game in next year (not in this update to Ver. 1.1.1) will provide more convenient features to the mini-map, as well as adding more quests and a second playthrough a.k.a. New Game+ which will be available to all players; not just those who bought the Expansion Pass. In New Game+, details are scarce, but Takahashi teases "you can recruit 'those Blades'! ", possibility indicating recruiting additional Blades not available in the initial playthrough. 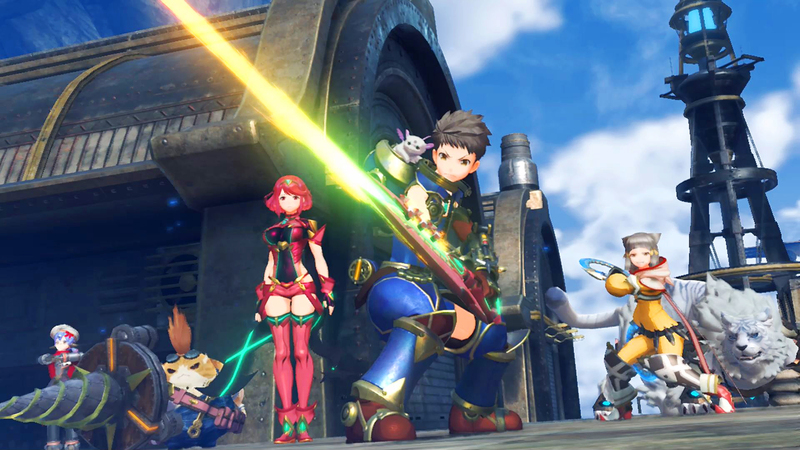 In addition, blades like Pyra and Dromarch can be dispatched in Merc Groups, and Takahashi also states that certain Blades could have their LV4 specials unlocked. We'll have to wait for a more formal announcement for further details. 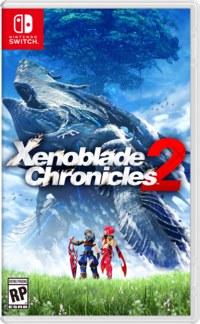 Xenoblade Chronicles 2 has been released for Nintendo Switch worldwide on December 1. This update patch to Ver. 1.1.1 will be published next week on December 22. Be sure to read our review to see what we think of this phenomenal RPG.